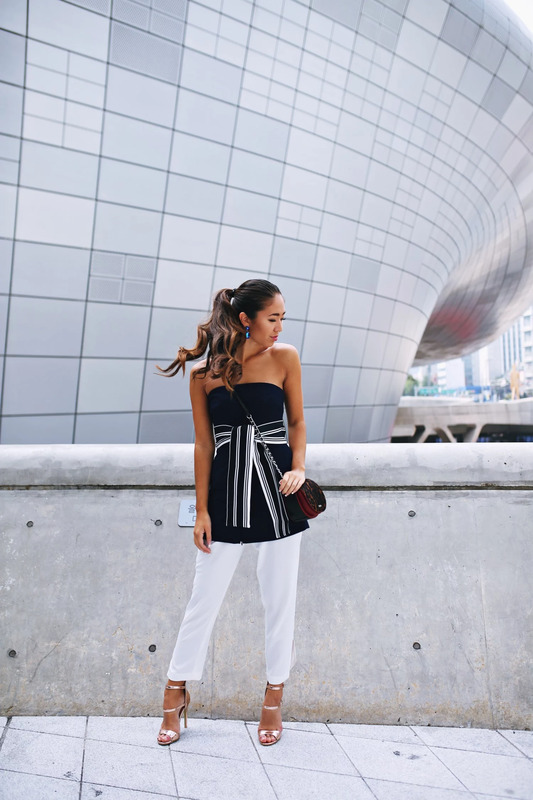 Feels so good to be twinning with J in one of our favorite labels Cmeo Collective again! Remember our multicolored leopard looks or our orange colorblocked ones? Just to mention a few, I think we have been wearing Cmeo for 5 seasons in a row now, always exciting to see their new lookbooks when you just know you're gonna love it all. Staying at a new hotel in Gangnam for the weekend, I hope you have been following it all on our Insta story guys!